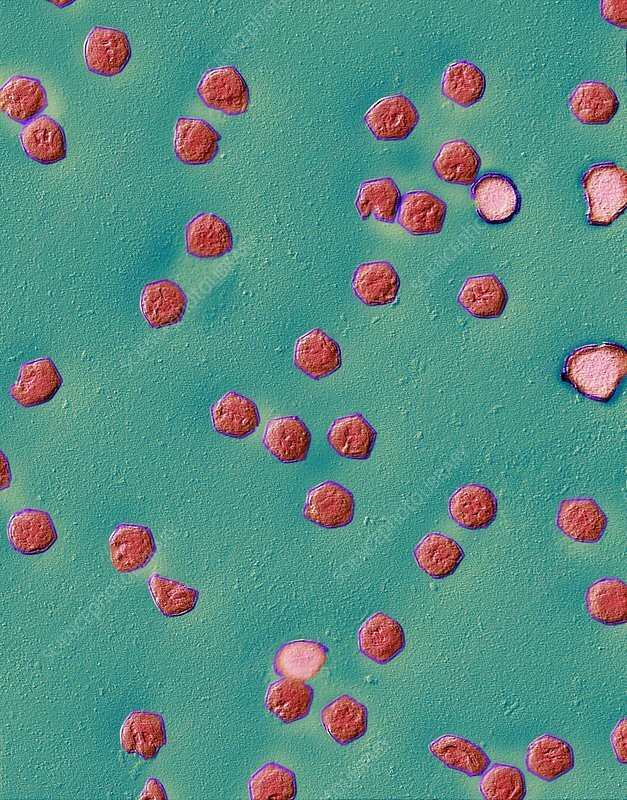 Ranavirus virus particles, coloured transmission electron micrograph (TEM). These are frog virus 3 (FV3) virus particles. Ranavirus viruses are infectious to amphibians and reptiles. FV3 is the type species for the Ranavirus genus. Magnification: x34,000 when printed at 10 centimetres tall.